Okoye knows he will never be pain free. The former Kansas City Chiefs running back had a physically bruising style of play throughout his football career, which, after six years in the NFL, resulted in severe discomfort. Due to all the aches and pains from playing and subsequent injuries and surgeries, Okoye’s daily routine involved its fair share of painkillers, including Indocin and Naprosyn. He isn’t popping pills on a daily basis anymore, though. Okoye is able to alleviate his ailments the natural way: with CBD. CBD (also known as Cannabidiol) is one of more than 400 compounds found in cannabis. It has been utilized to help a variety of ailments and conditions including arthritis, depression, anxiety, epilepsy, and chronic pain. It is being added to recipes and beauty products; even Gwyneth Paltrow’s lifestyle site Goop has a recipe for a CBD Julep. Contrary to popular belief, CBD doesn’t include THC, the principal psychoactive constituent in cannabis that elicits the ‘high’ feeling. The laws surrounding CBD are incredibly complicated, and vary hugely state by sate. The compound is legal in the nine states (and one district) where recreational and medicinal marijuana are legal: Alaska, California, Colorado, Maine, Massachusetts, Nevada, Oregon, Vermont, Washington, and Washington DC. 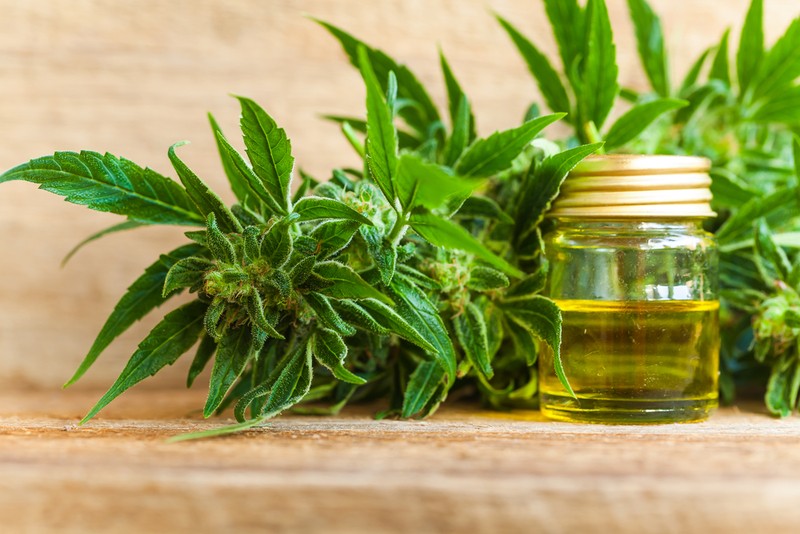 Some states allow citizens with medical conditions such as epilepsy to use low-THC/high-CBD oil, but there is an added complication about the source of the CBD (whether it is derived from hemp or marijuana, for example, and who the distributor is). Other states do not have any protection laws surrounding the compound at all. Okoye ingests CBD oil twice a day orally; once when he wakes up in order to get through the day and once before bed to ensure a good night’s rest. CBD can also be rubbed on the skin like a lotion to combat localized pain or inhaled via a vape. Nicknamed the ‘Nigerian Nightmare’, Okoye was introduced to CBD by former Chiefs teammate Nick Lowery. Hesitant at first, he learned more about the natural compound, and is now one of its most prominent advocates. Okoye is a spokesperson for Kannaway, a company that produces hemp-based CBD products. CBD offers a one-stop shop for both afflictions and, because it’s natural, it is widely accepted that the compound is non-addictive, unlike opioid-based medicines. That’s the message Okoye, Petkanas, and CBD companies are trying to communicate not only to the general public, but to politicians and NFL officials too. Many professional athletes, particularly in the NFL, have spoken openly in favor of the league’s legalization of marijuana and CBD in order to combat the extensive misuse of opioid-based painkillers. Former tight end Martellus Bennett estimates 89 percent of NFL players use marijuana. Both marijuana and CBD are currently on the NFL’s banned substance list, though the league has offered to work with the players’ union to study marijuana for pain management. They reached out to the NFLPA in August 2017 to band together in an effort to research the drug. “We look forward to working with the Players Association on all issues involving the health and safety of our players,” NFL Executive Vice President of Communications Joe Lockhart told The Washington Post. Okoye believes the NFL needs to evolve the way it views CBD in the same way many states have evolved their view on recreational marijuana use. He says “CBD is nothing compared to [marijuana],” especially once everyone is educated about its benefits. Regardless of the league’s stance on CBD and marijuana, Okoye is happy he’s found an alternative, non-addictive solution to combat his daily ailments. Ben Lecomte is attempting to become the first person to swim the Pacific Ocean, having begun a six-month journey from Tokyo to San Francisco on June 5. The 8,000-kilometer trek will yield more than 1,000 scientific samples that will provide information on ocean pollution, mammal migration, and extreme endurance.